Now that the College Football season has ended and the NFL season is winding down, it is time to start looking forward to the BEST three weeks of the Sports Calendar, March Madness. I am NOT a BIG fan of College Basketball, but I really enjoy March Madness. I LOVE March Madness, so much that I launched this website on the FIRST day of March Madness last year. From now until Selection Sunday, which is March 11 this year, I will be releasing a blog EVERY Tuesday which will recap the action from the past weekend and talk about the BIG games coming up that week. Editor’s note- I do not have a SET idea on the format for these blogs yet, but for now it will be a little “State of the Towson Tigers”, which will talk about Towson Basketball and that talk about some of the some of the teams in ESPN’s Bracketology. I probably will have some observations similar to the College Football season starting next week. State of Towson- The Tigers started out the season GREAT, they were on a TEN game winning streak at one point in the season, but things have been ROUGH over the past few weeks. Towson received some votes in the AP Poll early in the season, but are now NOT even in the TOP half of the CAA standings. The Tigers have STRUGGLED during conference play, but got a BIG win over William & Mary last weekend and they can now use that as momentum. The Tigers HOST Drexel on Thursday night and then travel to UNC-Wilmington on Saturday night. BOTH teams the Tigers play this week are BEHIND them in the CAA standings, so they should use these EASY games to climb up the standings. The only way the Tigers will be able to get into the NCAA Tourney is by WINNING the CAA Conference Championship, so they need as HIGH a seed they can get in the CAA tournament. Villanova, Virginia, Purdue are the TOP teams in the polls right now, but I would be shocked if that is the order of the TOP teams on Selection Sunday. Teams like Duke and West Virginia are knocking on the doors of the TOP teams to get a ONE seed in the Tourney. There is no clear cut FAVORITE for the Title this year and we are set up for a GREAT Tourney in which a BUNCH of teams think they can WIN the Big Dance. Most teams are more than halfway done with their seasons, and no one has been able to DISTANCE from the pack. ALL the teams in the TOP TEN in the polls think that if the ball bounces their way they can WIN it all. 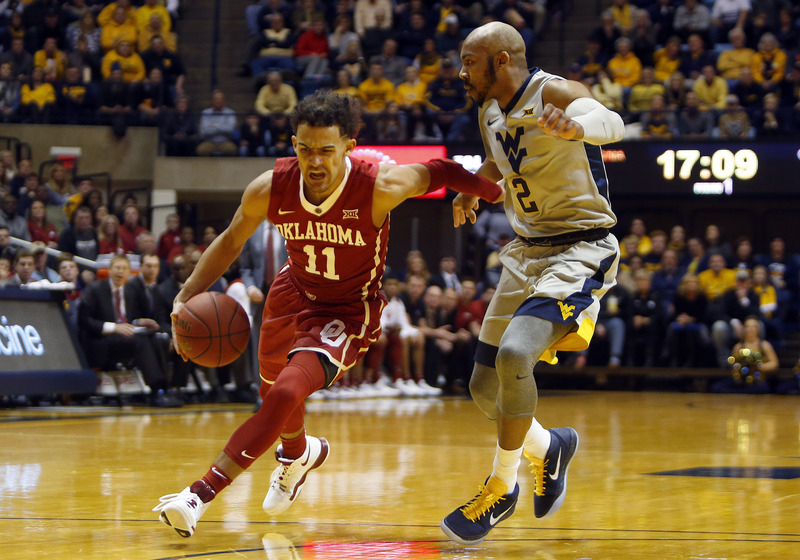 Oklahoma’s Trae Young has BURST onto the scene over the past couple of weeks with GREAT scoring outputs, but the question for the Sooners is pretty simple, Will they able to beat Kansas in the Big 12? Kansas has had a GREAT run winning the Big 12 and even though they are in the TOP 15 of the polls, this is the year their run ENDS. That was a look at the TOP teams in College Basketball right now, starting next week I will some observations for you.